SEATTLE – The Seattle Storm today announced that the team has signed free agent guard Shavonte Zellous to the 2019 roster. A 10-year veteran of the WNBA, Zellous spent the last three seasons with the New York Liberty. She started 22 games in 2018, averaging 8.2 points, 3.1 rebounds and career-high 3.0 assists per game following a year in which she grabbed a career-best 4.0 boards per game. An All-Big East First Team honoree in each of her last three seasons at Pittsburgh, Zellous was drafted by the Detroit Shock with the No. 11 pick in the 2009 WNBA Draft. After averaging 11.9 points per game and earning a place on the All-Rookie Team, she was traded to the Indiana Fever in 2010, where she spent six years and made two appearances in the WNBA Finals, capturing the title in 2012. The following season, the 5-foot-10 guard nearly doubled her scoring output with a career-high 14.7 points per game and was named a WNBA All-Star and the league’s Most Improved Player. 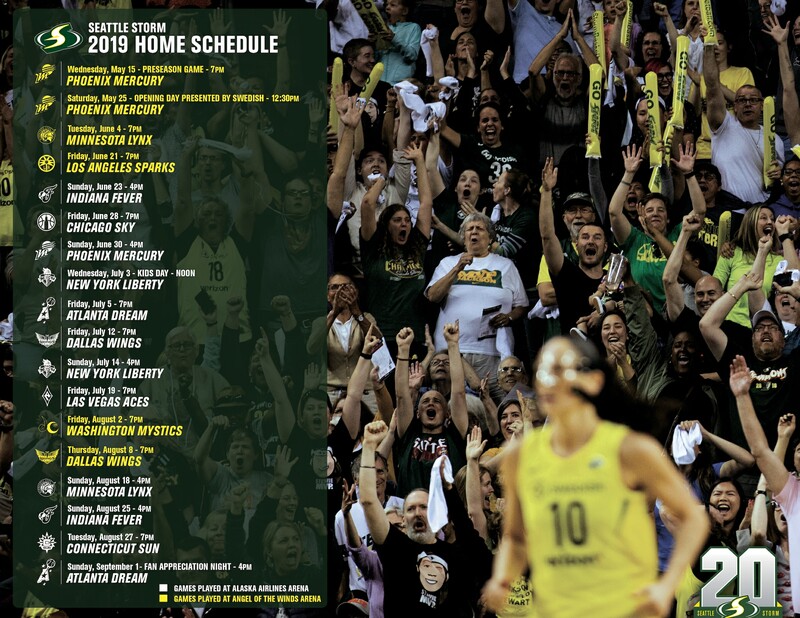 On Wednesday, the Seattle Storm announced single-game ticket information for the 2019 season. Fans can purchase by visiting StormBasketball.com. Raise the trophy with the Storm in 2019 with a Storm 360 Membership, ticket package or group experience, available by calling (206) 217-WNBA (9622).